On Monday, a St. Louis jury awarded the family of an Alabama woman $72 million in a civil suit against Johnson & Johnson. 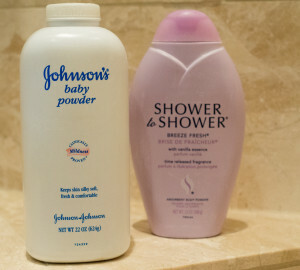 The jury found Johnson & Johnson liable for the plaintiff, Jackie Fox’s ovarian cancer, which she claimed in the lawsuit was the result of using the company’s Baby Powder and Shower to Shower powder, both of which contained talcum powder. According to the lawsuit, Ms. Fox, of Birmingham, Alabama, was diagnosed with cancer in 2013. She died last fall at age 62 after her ovarian cancer returned. The jury awarded $10 million for compensatory damages and $62 million for punitive damages to Ms. Fox’s estate. Deliberations lasted four hours, following a three-week trial. Jurors found Johnson & Johnson liable for fraud, negligence and conspiracy. Currently, there are more th an 1,200 civil suits against the company related to its talcum-containing products. Several studies have been conducted which link talc powder to ovarian cancer and talc is a common ingredient in many Johnson & Johnson products. In 23 case-controlled studies, conducted by the International Journal of Gynecological Cancer in May of 2015, the researchers found that talc use increased the risk of ovarian cancer by 30-60 percent. While studies had been previously unable to determine conclusively whether talc played a role in ovarian cancer, the International Journal of Gynecological Cancer concluded that their results “suggest that talc use causes ovarian cancer.” Several other recent studies, including one conducted by the Journal of the National Cancer Institute, confirmed those same results. The connection between talc powder and ovarian cancer was reinforced when scientists discovered talc minerals inside the cancerous tumors they were removing from women’s bodies. Ovarian cancer is the most lethal gynecological cancer there is and it is most often detected in the later stages of the illness when it is too late to effectively treat the cancer. Talc is a naturally occurring mineral that is one of the primary ingredients in products like Johnson & Johnson’s Baby Powder and Shower-to-Shower body powder. Manufacturers of products containing talc have promoted these products for decades, claiming that talcum powder eliminates friction, is gentle on the skin, and provides a fresh scent. They created ads with smiling, bare-bottomed babies, promoting the use of baby powder to reduce diaper rash, and other ads, promoting the use of talcum powder by women as a personal hygiene product. However, as mentioned above, a growing number of studies published in scientific and medical journals have concluded that the use of talcum powder in the genital area increases a woman’s risk of developing ovarian cancer. This alarming information has been known by the manufacturers of products for many years, but, unfortunately, the manufacturers chose not to put warnings on their products or in their ads.